Do your grandparents stay alone while you are out? Then below I mentioned few tips that are very important and make your grandparents or any senior citizen know about the fact to stay safe at home. 1.Install sensor and alarm system on doors & windows. Opt for automatic dialing facilities with health emergency number. 2.Ask for photo identification from service or delivery people before letting them in. if you are bit worried call the company to verify. 3.Do not open the door to the strangers. Instead use the convenience of a wireless video door phone. 4.Always have a through check before appointing a help or a maid and always get them registered with nearest police station. 5.Do not let the people know if you are alone. 6.If possible install a burglar alarm. Keep emergency number like hospital number, nearest police station, doctor etc on speed dial so that time is not wasted on communication. 7.Know the telephone number of your neighbors & family members. 8.Never keep a lot of cash; jewellery or valuable things at home in open. Keep it secure in safe. 9.Reach out to other senior citizens and organize systems to assist each other in emergencies. Are you looking for the best security systems to furnish your newly made or old home? Here is a brief list with descriptions of the most suitable security systems like wireless, hardware and driveway alarms, security cameras, video intercoms and digital door locks of top brands for modern day home furnishings. These products provide better safety and always help avoid the possibility of theft or robbery of your home to a great extent. 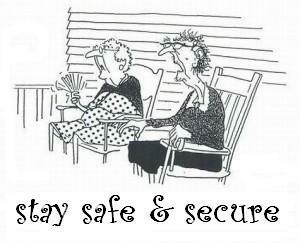 Since the seniors are for our life security, we have to take care of them by considering your tips.